Shoe Components — KOCH & CO. Vegetable tanning transforms high-quality rawhides into the finest leather, which develops its own unique patina over time. Only approximately 10% of leather is made using this natural process, as it is more time-consuming and relies on experienced craftsmen to create this natural finish. We use the highest quality Argentinean Leather to produce our soles. Argentinean leather soles are a favourite among leather shoemakers, due to it's high abrasion resistance and durability. It is one of the most preferred types of leather for Goodyear welted construction, due the the high internal bond and strength of the material. We use high-grade masonite, a heel material which is made out of recycled wood. The high internal bond of the material allows extreme durability for the heel, while making it much lighter than traditional leather heels. The high abrasion resistant rubber top lift at the top of the heel maximises support and balance. Every heel features a ‘gentleman’s corner’ to protect your trousers from any damage. Cork insoles and midsoles ensure a higher level of wearing comfort and also help prevent moisture from collecting in the shoe. 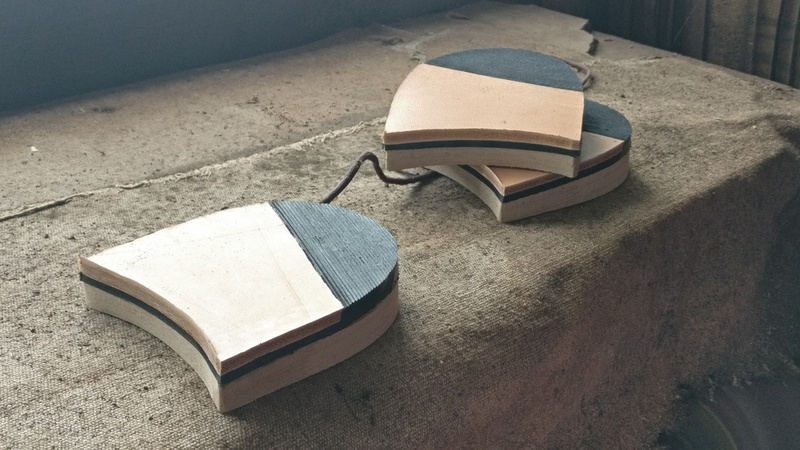 These insoles are made entirely of natural materials and help minimize foot discomfort. Cork insoles are excellent for protecting the interior of the shoe, and are also easy to replace.